The local branches of American West Bank helped underwrite the cost of awards for each livestock barn at the Northeast Washington Fair this year, contributing $100 per barn. 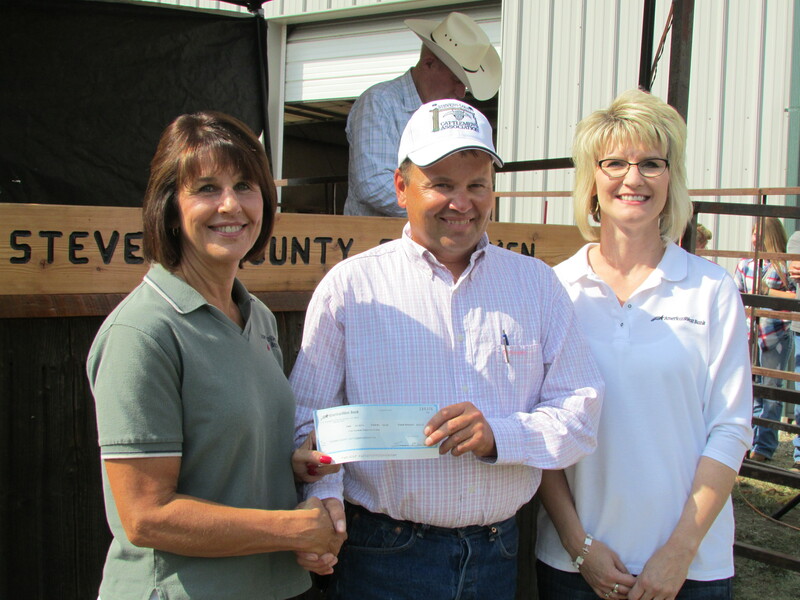 The bank also donated $200 to help cover the cost of the Fat Stock Sale that is also sponsored by the Stevens County Cattlemen’s Association (SCCA). Here SCCA President Scott Nielsen receives the donation from American West Bank representatives.